After travelling over 30 kilometers from Assop waterfalls, he began to approach the ring-dyke terrains of Bukuru. Something along the roadside caught his eye. He immediately pulled over his tòkunbò Toyota, and dashed out to see the gigantic rock-god, posed a few meters away from the road. Already, his mind had been lassoed by the enchanting showers of Assop Waterfalls, that it was as if he was still chest-deep in its frigid plunge pools, looking up and wondering if life in the cities could just be as soothing as that. And here again is another riveting enigma that has uncontrollably pulled him off his already-calculated ETA to Jos. He stood at the Jos-Bukuru roadside, staring at some adroitly sculpted rocks. The rocks rise from a sea of granite boulders and assume the form of a clown’s hat, ostentatiously poised and ensconced on lush verdant fields. These awe-inspiring rocks are none other than the Riyom Rock formation, located some 25km from Jos along the Jos-Akwanga road, Plateau State, North-Central Nigeria. With each boulder precariously balanced on one another, the 3-dimensional vistas of Riyom rocks will definitely never cease to inspire the adventurous photographer. The subtle semblance between the outline of the rock formation and the geographical boundaries of the state is also another fascinating spectacle about the rocks. Irrespective of the recent unrest in Jos, the Nigerian heart will still be thankful that those blood-thirty bullets of violence haven’t severed off the “clown’s hat” at Riyom rocks. Hopefully, someday soon, everlasting peace shall embrace our once-thriving haven of choice tourist destination, Jos Plateau. The write up, the picture (i keep looking at them over and over again with awe) and all….this is in Nigeria???!!! Mehn! we are so blessed!!! Thank God for people like you that are digging these stuffs out and i hope our Government will revive some of these place and turn them to big tourist centers. Keep at the good work!!! @ me…thanks so much for the comment…I couldn’t take my eyes off too in wonder of nature’s expressions even through those awesome rocks. A further worthwhile write-up provided by http://www.naijatreks.com/2011/01/432/. I have already been looking into your site for a time at this time and I realize that you happen to be even going all the way up within the search rankings which makes me personally very happy. I’m totally FLOORED with AWE! 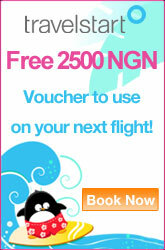 You guys need to get off your … and do some serious marketing of the Nigerian tourism! Real nice concept with the rubber sheeting work. Thumbs up.